Alan Riach’s poems are postcards in different shades of blue: Hamilton in New Zealand, Calcutta, Istanbul, a small town in Portland, Corunna, Dungeness in England. Landscapes are shaped by roads and paths, passages and crossings, over which bridges – present in many poems – create arcs. The poet always returns to Scottish landscapes – Glasgow, Lanarkshire, Drumelzier, the Hebrides and the Orkney Islands – as Scotland is both the end and the start of the road. Wiersze Alana Riacha są jak pocztówki z podróży w różnych odcieniach błękitu: Hamilton w Nowej Zelandii, Kalkuta, Stambuł, małe miasteczko w Polsce, La Coruna, Dungeness w Anglii. Świat kształtują tu drogi i ścieżki, przejścia i przejazdy, nad którymi mosty – tak często obecne w wierszach Riacha – zakreślają łuk. Poeta powraca zawsze jednak do rodzimych krajobrazów – Glasgow, Lanarkshire, Drumelzier, Hebrydów czy Orkadów – gdyż Szkocja to koniec i początek drogi. Jeżeli chcieliby państwo nabyć tomik, prosimy o skontaktowanie się bezpośrednio z wydawnictwem. E-mail: wydawnictwo@wydawnictwomaski.pl If you would like to purchase a copy, please contact the publisher at wydawnictwo@wydawnictwomaski.pl. Alan Riach was born in Lanarkshire and took his first degree at the University of Cambridge, where he read English. He then studied for his PhD in the Department of Scottish Literature at Glasgow University. Alan Riach is a poet and from 1986 to 2000 worked in New Zealand at the University of Waikato, where he held the post of Associate Professor of English and Pro-Dean of the Faculty of Arts and Social Sciences. He specialised in 20th Century literature, teaching Scottish, Irish, American and Post-Colonial Literatures and Modern Poetry. In 2001 he returned to Scotland and took up the post of Reader in Scottish Literature at the University of Glasgow. Riach has contributed to many collections and written other books, including the monograph, Hugh Macdiarmid’s Epic Poetry, which was based on his PhD dissertation and was published in 1991 by Edinburgh University Press. He is also the General Editor of Carcanet’s multi-volume, The Complete MacDiarmid. Since 2003, Alan Riach has held a Professorship in Scottish Literature and is currently Head of Department. His most recent critical book is Representing Scotland in Literature, Popular Culture and Iconography: The Masks of the Modern Nation (Palgrave Macmillan, 2005) and he has contributed poems and essays to numerous recent volumes, including Scotlands: Poets and the Nation (co-edited with Professor Douglas Gifford, Carcanet, 2004), 121 New Zealand Poets (Godwit Press, 2005), Spirits of the Age: Scottish Self-Portraits (ed. Paul Scott, Saltire Society, 2005), The Wallace Muse (ed. Lesley Duncan and Elspeth King, 2005) and The Edinburgh Book of Twentieth-Century Scottish Poetry (Edinburgh University Press, 2005). 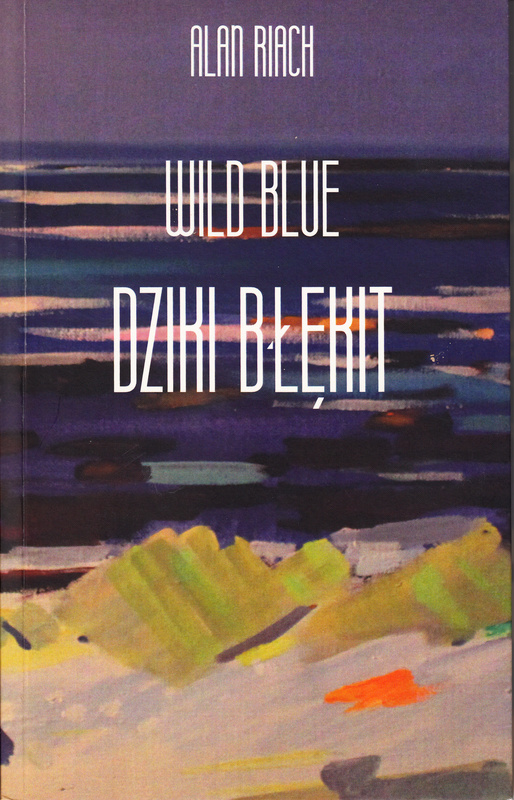 Categories: News, Publications | Tags: Alan Riach, David Malcolm, Maski, Monika Szuba, poetry, Wild Blue | Permalink.